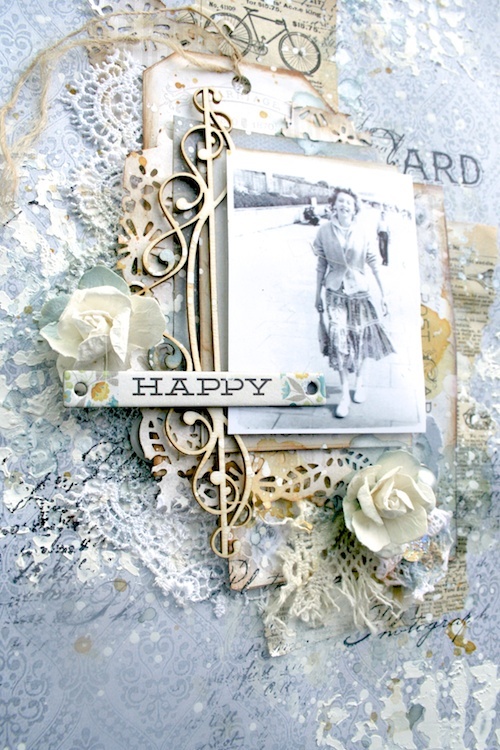 I created this layout with a combination of Pion Design papers using a vintage photo of my mum by the seaside. 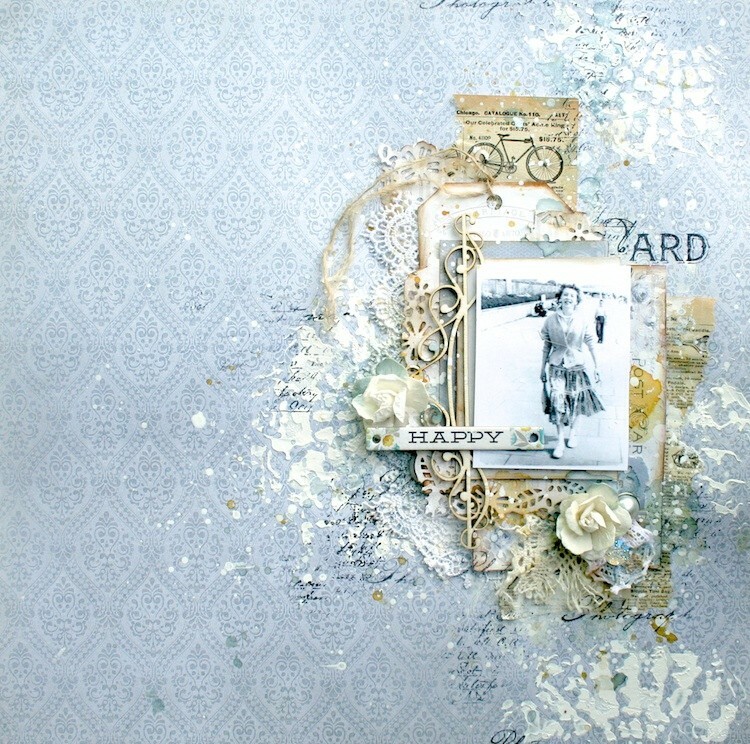 I used pieces of the papers from the ‘Vintage Wedding’ collection that I cut out with a lacy punch to build up some of my layers under my photo. 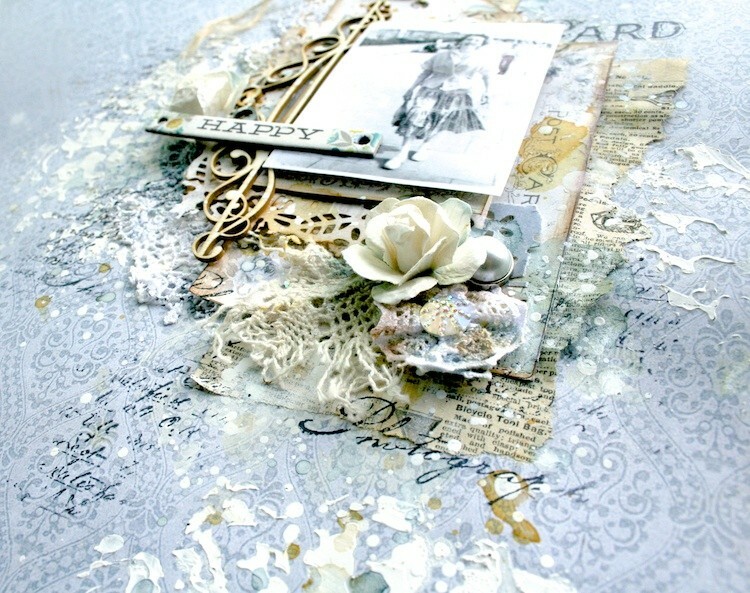 I love the paper you used, love the whole layout!